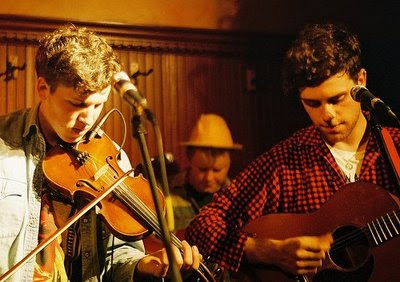 If you're a Noah and The Whale fan you might already know that they will be out on the road this March headling a tour called Club Silencio. Hot on the heels of their debut album "Peaceful, The World lays Me Down" NATW are currently recording the follow up which I'm looking forward to hearing. I'm told the Club Silencio tour will consist of evenings full of film and music and live sets curated by the band. There will be moving-images, performances and screenings amongst which will include David Lynch, Andy Kauffman, the Marx Brothers and Doug Sweetland. Jay Jay Pistolet will be supporting. The name of the tour is an allusion to the David Lynch film scene but also to the show's unifying themes of real, surreal and illusion. And here's a link I found to some ticket information.